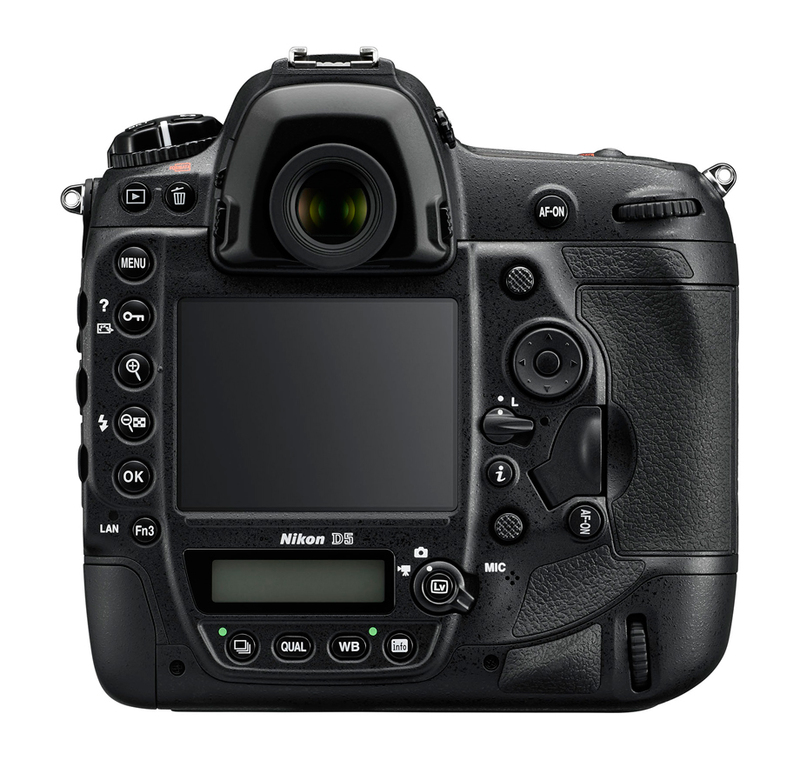 Built around a brand-new 20.8Mp FX-format CMOS sensor, the D5 boasts an increased resolution over its predecessor, the 16.2Mp Nikon D4s, and extends the ISO sensitivity range by a staggering amount. With a standard ISO range of ISO 100 – 104,200, sensitivity on the D5’s new sensor is expandable to an incredible 3,280,000 (yes, that’s 3.28 million ISO!) on its Hi 5 setting. Its enhanced performance capabilities are no less impressive, too, with an improved autofocus system, new metering system, bigger buffer, faster frame rate, and quicker image transfer. The D5’s new 180K pixel RGB metering system doubles the pixels for metering over its predecessor, the D4s. This enhancement should not only improve exposure accuracy during burst shooting, but help facilitate faster and more accurate autofocus tracking, too. The new autofocus system triples the number of autofocus targets from 51 on the D4s to a staggering 153 points on the new D5. What’s more, 99 of the 153 autofocus targets are the more accurate cross-type sensors, which offer horizontal and vertical sensitivity and are sensitive down to –4 Ev for enhanced performance in low light. The frame rate has increased to 12 fps with AE/AF tracking, or up to 14 fps with mirror lock up, and despite the increase in resolution, the D5’s buffer is still capable of recording 200 RAW / large JPEG files in a single burst. Available in two versions, with either dual XQD SD card slots or dual CF card slots to suit your choice of storage, both versions feature a new USB 3.0 port and a faster wireless connection (Nikon claims 4 times faster) for high-speed data transfer. For video, the new Nikon D5 shoots 4K movies (3840×2160 pixel) at either 30/25/24p or lower-resolution Full HD video up to 50/60p in multiple formats. 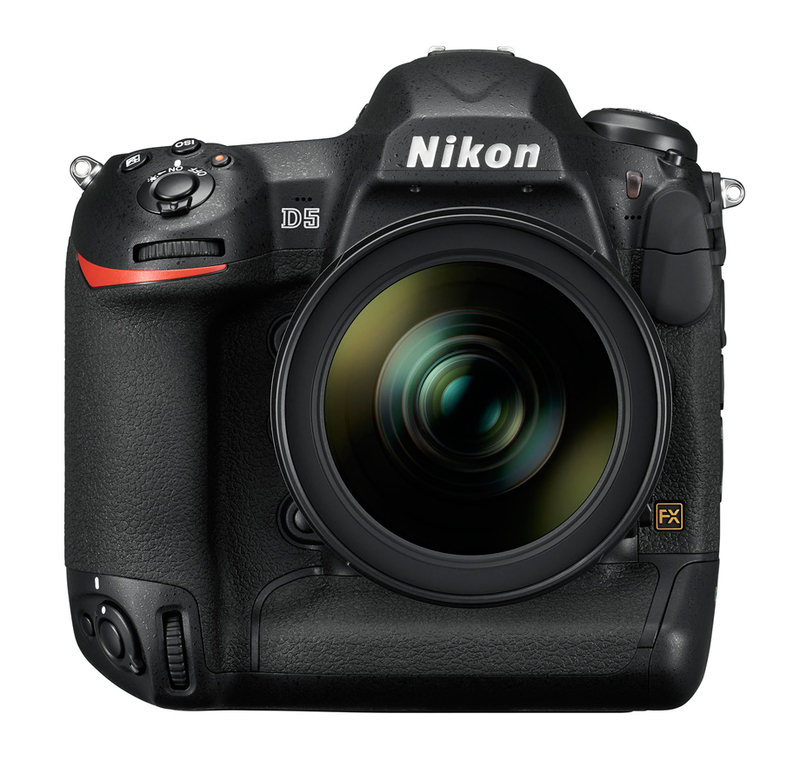 The new Nikon D5 is set to ship in March 2016 with a body-only price of $6500. Nikon D5 Specifications: Raising the bar for low light? The increase in resolution between the 12.1Mp Nikon D3 series and 16.2Mp D4 series saw the D4 achieve an improved DxOMark Sensor Score of 89 points, with better results for color depth and dynamic range. With its greater pixel pitch, the lower-resolution D3s remained the king of ISO performance, however, with a marginally better score of 3253 ISO compared to 3074 ISO for the Nikon D4s. It’ll be interesting to see if the new 20.8Mp sensor in the D5 with its incredible ISO sensitivity range can trump both of these ISO scores while at the same time offering greater resolution. Although the maximum ISO of 3.28 million on the D5’s expanded setting will make the headlines, it’s the extra two stops of standard sensitivity that will interest professionals desiring to capture high-quality images in low light. While both the D3 and D4 series offer good dynamic range — over 10 EV up to ISO 6,400, and good color sensitivity over 20 bits to ISO 1600, if the D5 can improve on that by two stops, this means both high-quality and high-resolution files at incredible sensitivities. We can’t wait to run the new Nikon D5 through our industry-standard sensor tests just as soon as we can get our hands on one!